OCBC Bank is Singapore’s longest established local bank, with a rich heritage that can be traced as far back as 1912. The retail banking division is invested in enhancing customers’ experience through a wide range of consumer financial solutions and services, and continuous efforts to consistently produce simple and relevant communications for customers. 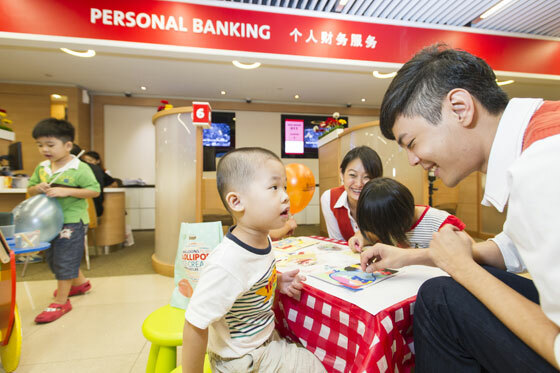 Over the last five years, OCBC Bank’s strengths and achievements as a leading consumer financial services market player has been acknowledged by numerous international recognitions. Notable awards include the World’s Strongest Bank in 2011 and 2012 (by Bloomberg), The Best Retail Bank in Singapore 2013 (by The Asian Banker Award), the Asia’s Best Bank 2014 (by Financial Insights Innovations Award) and most recently, the first retail bank to receive the Singapore Quality Award 2014.